Like I need more kitchen tchotchkes, but when I saw this I couldn't resist. I get good healthy food and a tchotchke thrown in. That's right up my alley. 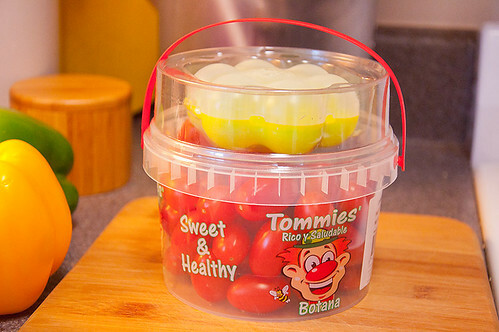 See, here's a nice reusable bucket, filled with sweet & healthy cherry tomatoes. Wait, what is that nestled in the top of the lid?.. 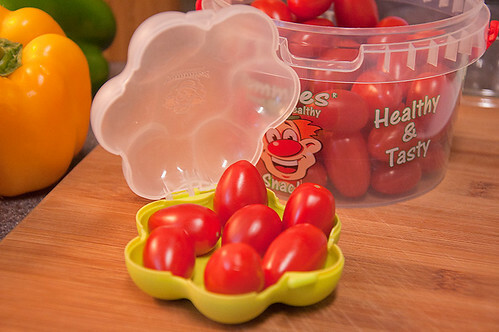 Why it's a handy dandy little cherry tomato toter.